Ok this is barely a hike, but its a great little hike if you travel in this area. 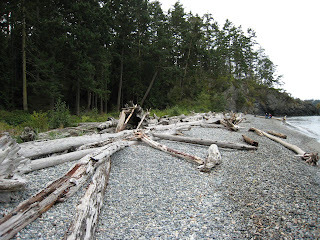 There are longer trail options including a hike to the West Beach. 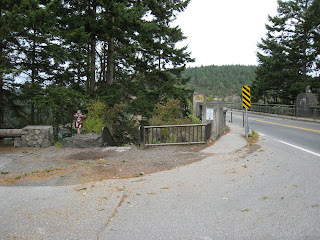 There is a main parking lot on the southside of the Deception Pass Bridge (highway 20). BTW- You can walk on the bridge for additional views. 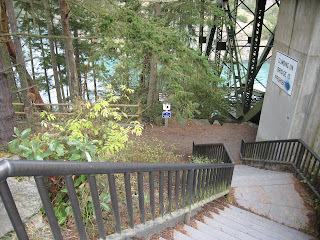 From the Parking Lot you will see stairs leading to the trails on the West and East side of the bridge. At the bottom of the stairs turn LEFT and head down a very established path to the beach below. There are some great views along the way down. 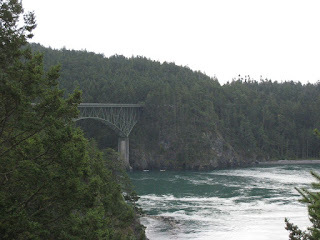 You can see the swirling waters around the bridge, its also great to see boats navigate under the bridge -- all viewable from the trail. 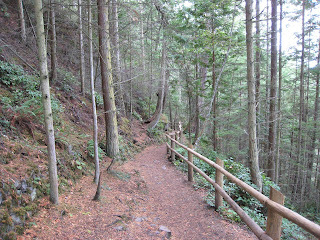 The Trail briefly goes into the forest away from the water. 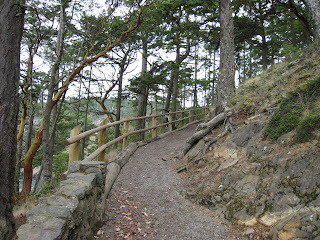 The Trail continues down to the beach through the forest. 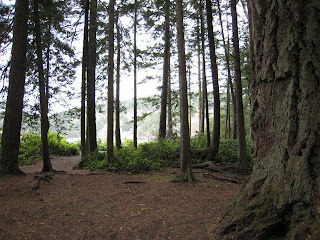 At the bottom of the hill there is a nice clearing with a Cabin and picnic tables available for those needing a break. 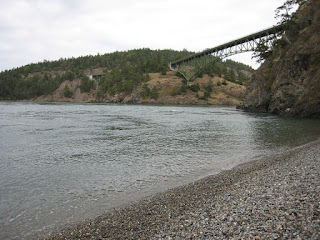 You can view the bridge above from the beach and watch more boats and kayakers navigate the pass waterways. 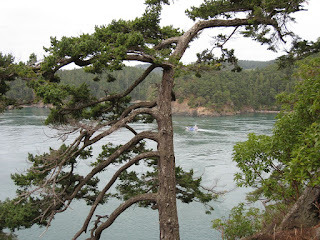 Getting There - Take Highway 20 to Deception Pass. The Main Parking Lot entrance is on the south-side of the south bridge. 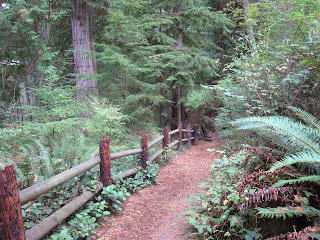 Other Trails - There are 34-miles of trails within the State Park. 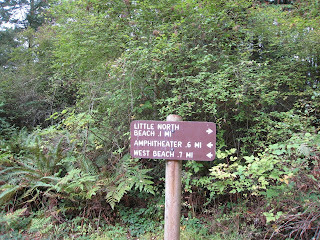 More information on the Park and trails, click here.